If you are looking for the right funeral package, you will find this one absolutely useful. 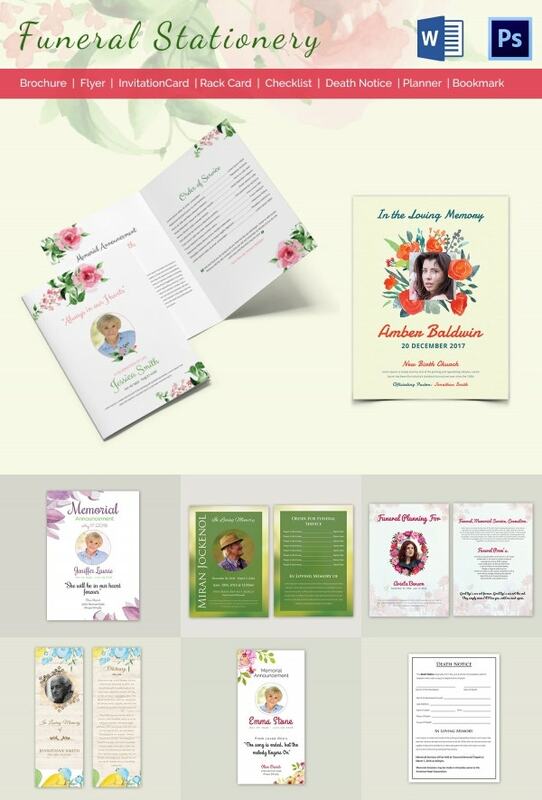 The package is best for families and friends who are seeking a complete set of beautifully designed documents to use for funeral templates. These are specifically designed for funerals only and are easily affordable. 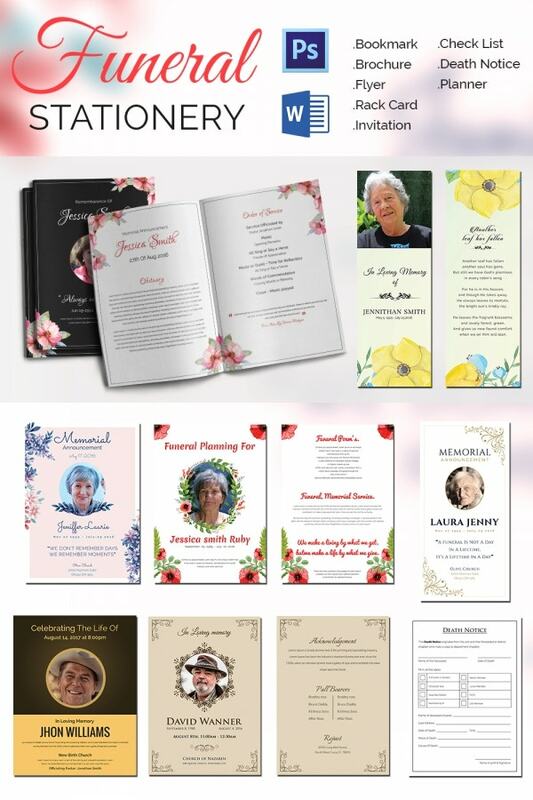 The best thing about the collection is you can use them to do whatever you want, from writing funeral obituaries to preparing the best funeral invitations. 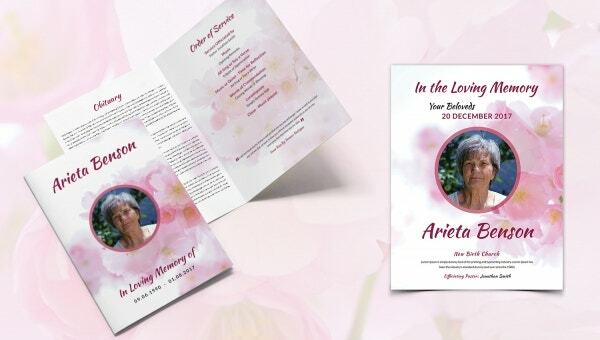 Whether you want a collection of a death notice, funeral planner, funeral invitation, or a funeral mockup, this collection may be the best for you. You can edit the templates in Photoshop. 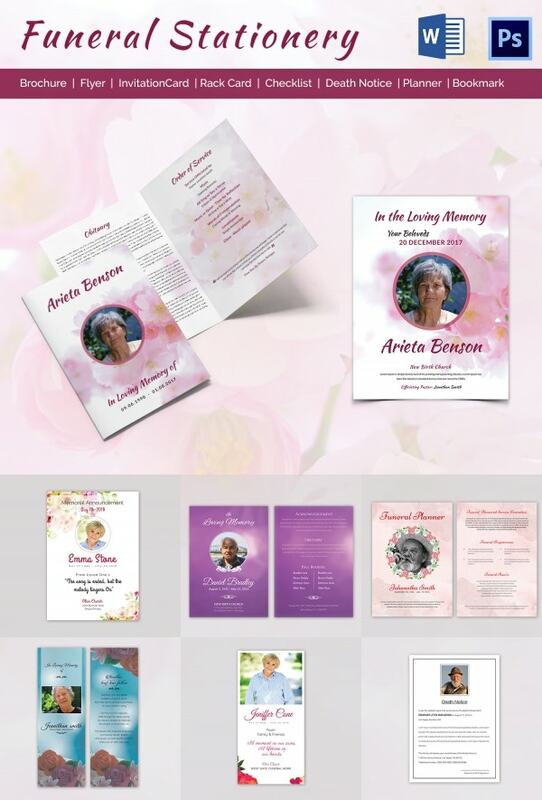 The collection of templates in this package includes rack cards, invitation cards, death notices, and brochures. You can edit the template in Microsoft Office Word or Adobe Photoshop. Download the package today. If you are looking for a collection of templates that you can use for funeral events, this is the right one. The collection supports CYMK color mode and you can edit the templates in Word or Adobe Photoshop. This is the right package to use if you need a collection of the best stationery. Of course, it is easy to edit and simple to customize. Even more, you can edit the templates in Word and Adobe Photoshop. 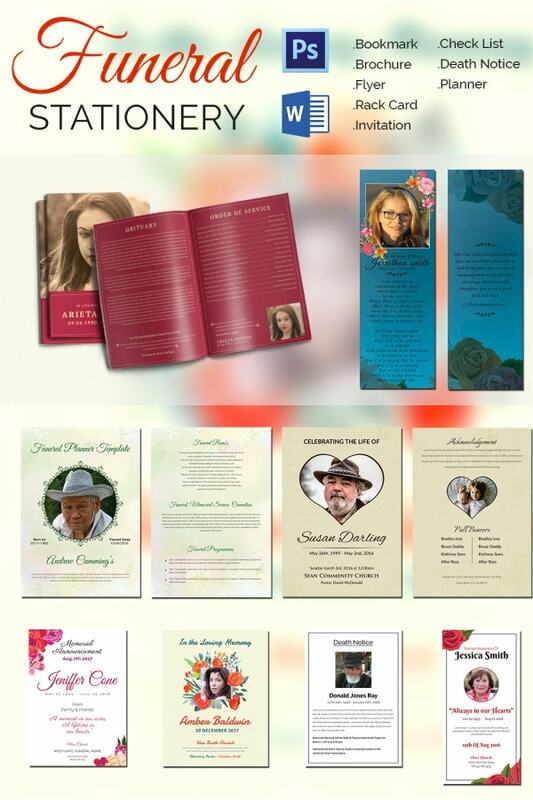 It is important to understand that this collection is a perfect one for those who are looking for the full kit of funeral templates. The templates are easy to edit and use. 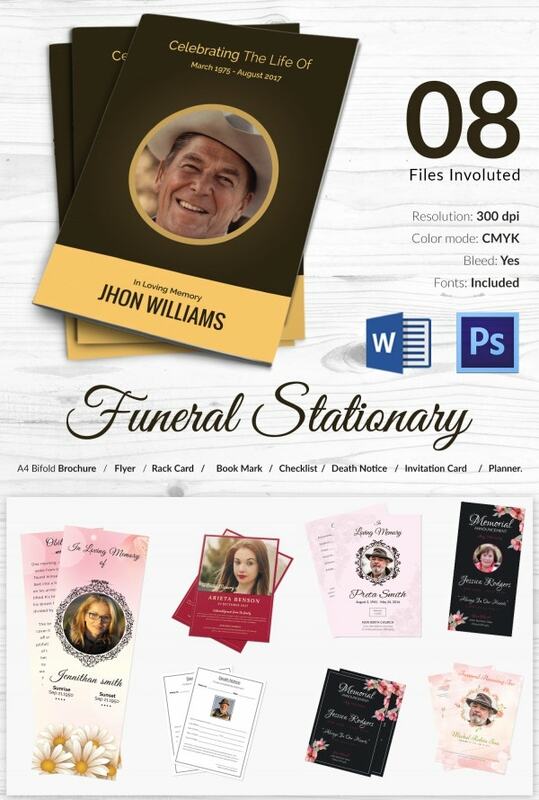 > Who should use the Funeral Stationery? The family of the dead should use the funeral stationery. The package is an important kit that will help them to communicate anything about the sudden death of a loved one. Although you may have a lot to tell about the death of a loved one, especially when using a brochure or booklet, it is important to put more focus only on the things that truly matter. That means writing only what is necessary on the obituary, using the right images, and making sure you plan the event the right way. At the end of the day, the toolkit should help you hold a successful funeral. > What are the Benefits of Funeral Stationery? One of the best things about the funeral stationery is that it comes with different templates for a funeral in one. For example, one package may have a death notice template, a brochure, a bookmark paper, a funeral death announcement template, and a flyer. You should choose the kit you believe is best for you, then download the template with the click of a mouse, and then start using the template immediately after download. The design is simple yet high quality. What is important is that you don’t have to edit the layout at all. Just replace the text and images with your’s and you are good to go. With a collection of templates this beautiful and available for download, there is no real reason why you should spend a lot of time creating each of these from scratch. Of course, you could tweak the design layout if you want, but that is almost always unnecessary. All you need to do really is edit content and that’s it!